Summer is such a great time of year because there is just so much going on. I love a good party/get-together! I find myself always needing a treat to take places and I like to have something in the freezer in case I’m not in the mood to turn on the oven. 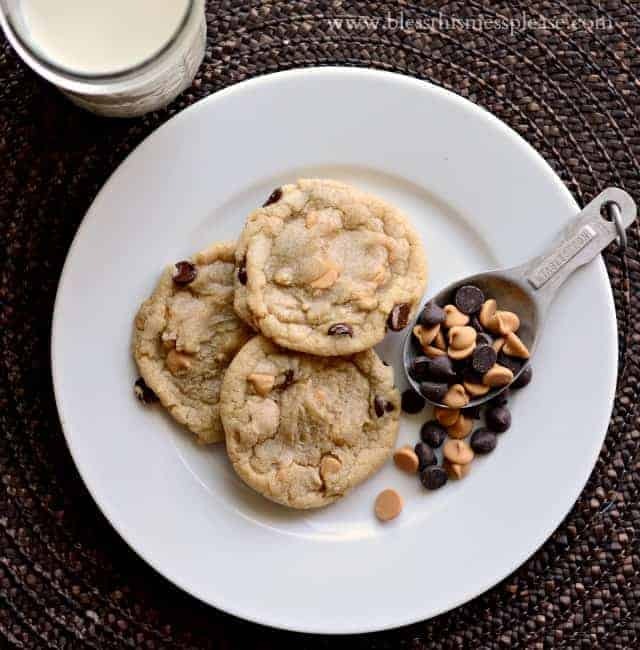 To spruce up my traditional chocolate chip recipe I decided to go for peanut butter chocolate chip and that combo makes for one unforgettable treat. Here’s the great part. These freeze like a dream. 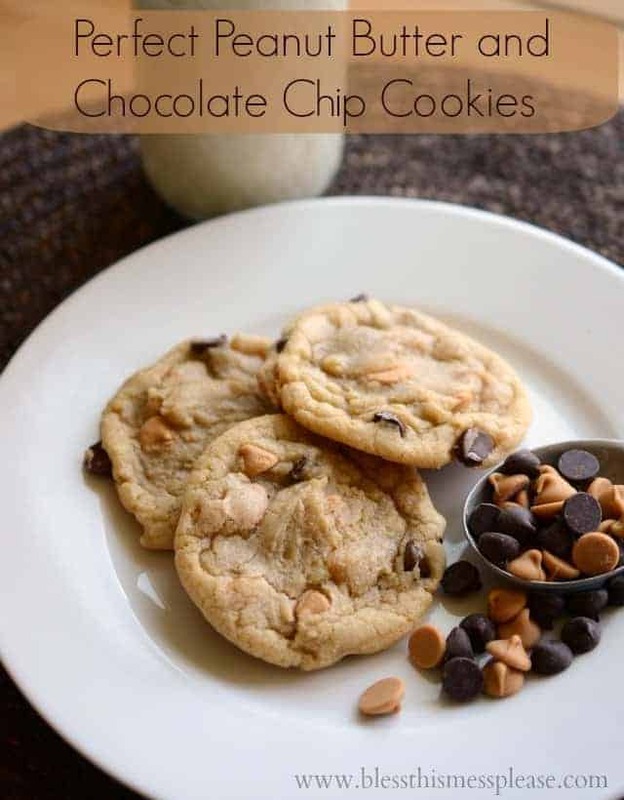 I make a double batch, bake them all, and then freeze once the cookies have cool in a well sealed container. I just pull out the frozen cookies, stick them on a plate, and they are thawed in about 15 minutes. By they time I get out the door and to where I need to be they are perfect and taste just like the day I made them. (excellent book by the way). And I just did a little switching of chips and adding of peanut butter. The recipe is awesome because it’s still their bones, and let’s be honest, they never publish a bad recipe. Confession: I like to sneak frozen cookies out of the freezer and eat them while they are still hard. Who needs a popsicle when you have frozen cookies! You’ll love this recipe and you’ll love the convenience of having some stashed in the freezer. Enjoy! Preheat oven to 325 degrees. In a large bowl, beat the melted butter and sugars together with an electric mixer (or stand mixer) on medium speed until smooth and the color lightens, 1-2 minutes. Beat in the egg, yolk, and vanilla until combined. Reduce the speed to low and slowly add half the flour, the salt and baking soda, and then the second half of the flour. Mix in the chips until incorporated. Working with 2 tablespoons of dough at a time, roll them into a ball and place them on a cookie sheet about 2 inches apart. Bake the cookies until the edges are set and beginning to brown but the middles are still soft and puffy, around 15 minutes. Let the cookies cool on the baking sheet for 10 minutes and then transfer to a wire rack to let cool completely. 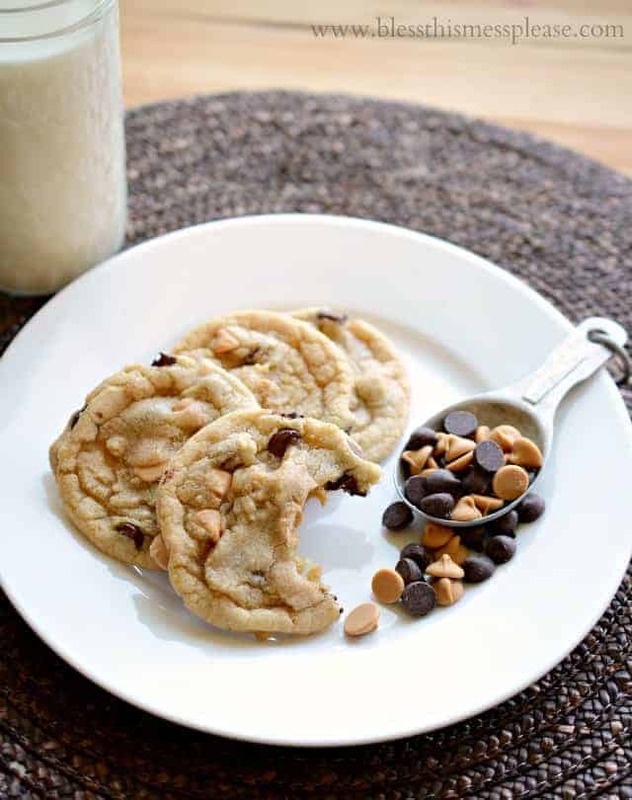 If you want more peanut butter flavor try replacing 3 tablespoons of the butter with 1/4 cup creamy peanut butter. It’s really tasty if you are a PB lover! I think I’m going to go sneak one now that I’ve looked at these pictures all morning long.